Google introduced a new ‘theme’ service to its Gmail. 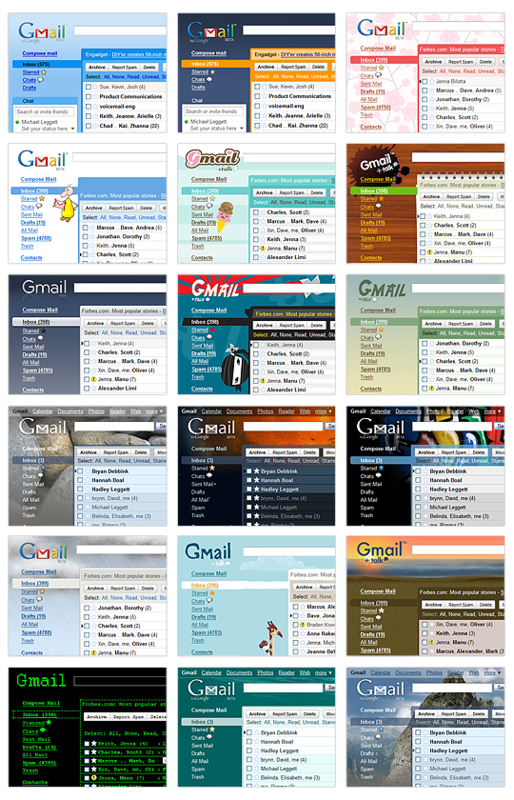 Now every gmail users can have their theme choice, though currently the themes are limited in numbers. Hope google will add more themes later. Earlier google have introduced this option to their homepage. You can change your themes by going to ‘Settings>Themes’ in your gmail window. Other recent features include adding voice and video chat as well as the ability to send and receive SMS messages.